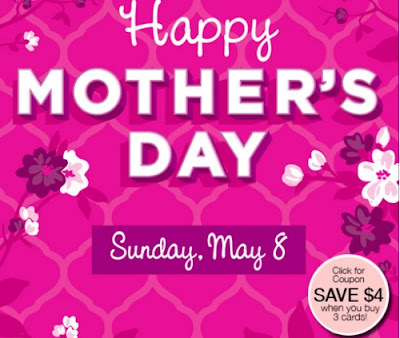 Mother's Day is coming up on Sunday, May 8! Carlton Cards has a new coupon for $4 off when you buy 3 cards! Coupon applies on the following card brands: Carlton Cards, American Greetings and Cartes Carlton. Offer NOT valid on Tender Thoughts. Valid at participating retailers only. Carlton Cards single cards only. Minimum value of each card purchased must meet or exceed $3.29. Coupon expires May 20, 2016.